Or ‘How to Make Your Website Better, Gain More Traffic and be More Functional’. Have you ever tried to access a site from a mobile or tablet and found it difficult to use? Chances are, it was not mobile compatible. Having issues navigating menus, having to zoom in to see content and having issues interacting with the site are all common symptoms. However, you may have noticed that in the past few years the number of sites which cause problems for mobile users has declined. On average, your customers will spend about 5 hours a day on their mobile. Couple this with the fact that around 60% of all Google searches come from a mobile device, and you start to realise that mobiles are a huge deal in people’s lives. Moreover, your customers are searching for businesses like yours right now. With recent additions and updates such as Google My Business, location searching and Google Maps integration, mobile searching is becoming quicker and easier to use on the go. You’ve most likely had experience with mobile searching. Popular searches while out of the house are for restaurants, shops and other businesses nearby. While you might have optimised your site for Google, not optimising your site for the mobile users near you can be a business killer. If they can’t get the information they need easily, you’re going to lose their business. Mobile technology is moving at lightspeed. With new models being unveiled regularly, consumers must have the latest tech, accessories and gadgets. It seems like every few months the ‘it’ phone to have, changes. There are thousands of different devices out there. The latest iPhone will have a very different screen resolution to a Kindle, for example. Designing a different site for each device would be an almost impossible task to complete. The problem of keeping up with technological advances in terms of websites has a simple solution – responsive website design. 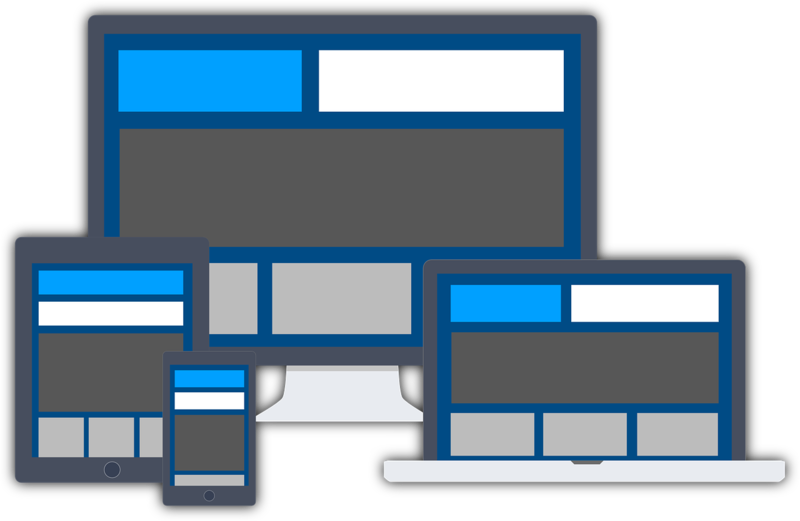 Responsive web design is one of the many ways in which developers can optimise a site for human users. They achieve this by using flexible elements within the website design which mean users can seamlessly switch between laptop and phone, without losing any elements or functionality. Basically, the website is given tools it needs to respond to changes in screen size and resolution. For example, say you have a webpage with 3 columns when viewed on a computer. Having the same 3 columns show up on an iPhone is going to be an issue as the text will be illegible on the comparatively tiny screen. If the website is responsive, the layout will shift so that the columns are shown one after the other with all images, links and other elements intact. If your potential customers land on your website using their mobile, they expect a reasonably smooth and painless experience. If the user finds the experience clunky and the site doesn’t want to cooperate with their requests, chances are they’ll get frustrated and leave. This drives traffic away from your site and directly onto your competitors’. Remember, over half of all Google searches performed are from a mobile, and it’s been that way since 2015 or earlier. If you lose out on potentially over 50% of your total traffic, you’re wasting your time with your business. Having a fully functional site will also drive organic traffic. Your site will be shown higher up in the search engine results pages if Google judges your site to be of good quality. High numbers of bounce rates indicate that a site is misleading or of poor quality, so make sure that people want to stay on your site. If you want to see for yourself how much traffic comes to your site from mobile sources, check Google Analytics (audience>mobile) to see the proportions. You can also check what devices are sending the traffic, allowing you to see which phones your customers are using to access your site. That way, you can see the power tat having a responsive site can have.